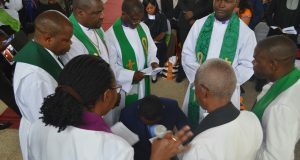 LUSAKA: The United Nations International Children Education Fund (UNICEF) has entered into partnership with the United Church of Zambia (UCZ) and the Zambia Episcopal Conference (ZEC) in the promotion of hand washing after using the toilet. 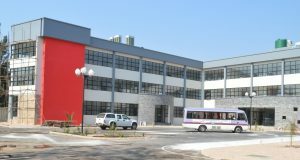 The project was flagged off at Mika Hotel in Lusaka beginning with the sentisation meeting for High level Officials of the two churches. The meeting was dubbed “Faith for Life Initiative”. The partnership is expected to run for some time. The programme also involves helping people to construct toilets and upholding good hyiegine and sanitation. 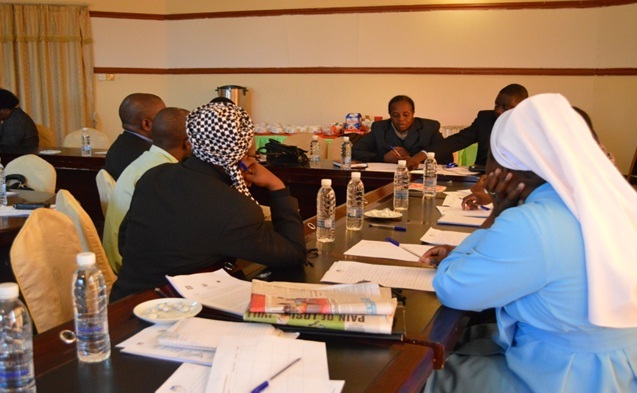 The training programme would in due course be rolled out in all provinces and districts where the two churches operate. 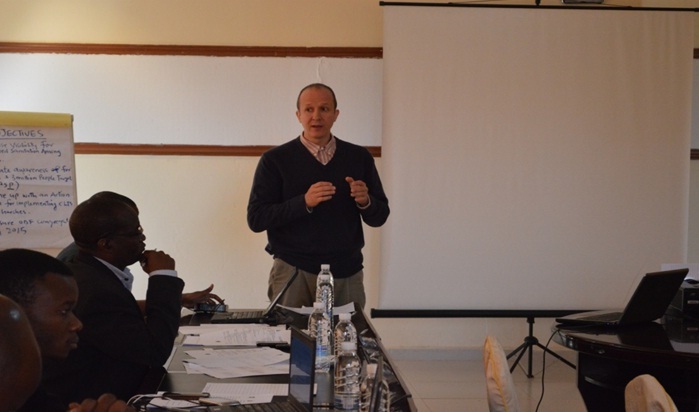 Among the participants were the UNICEF Ambassador Chief Chipepo, the Lusaka City Council representative and the Lusaka District Commissioner. 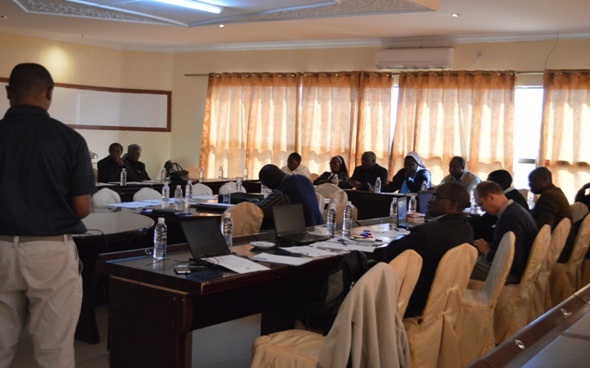 Also in attendance were all the UCZ Synod Heads of department from within Lusaka, Kitwe and Chipembi. From ZEC were Heads of health and education institutions, Sisters, Brothers and Fathers. 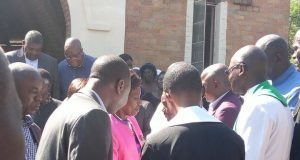 Chief Chipepo bemoaned the church’s reluctance when it comes to programmes such as this, yet God requires good hygiene and sanitation from His people. In his address Chief Chipepoargued that the Zambian soils were first handed over to God by David Livingstone on 1st May 1873 as breathed his last at Chief Chitambo’s village. This was later confirmed by President Chiluba in the 1990s when he declared Zambia as a Christian nation.Disposal of human waste is a necessary part of life. We must have rules that govern how to dispose of human excrement in order to help combat diseases that may arise from contact with human waste. The Lusaka District Commissioner indicated that government is doing all within its means to make Zambia a better place through its “Make Zambia Clean Campaign”, but it will take the citizens to achieve this ambitious programme. He was happy that the two biggest churches of our land have taken up this challenge. The Israelites were commanded to cover their poop whenever they pooped. This helps cover the smell, which while odious to humans, is also detected by unwanted animals and insects. Covering your poop also assists in avoiding pedestrians stepping in poop. In addition to the reasons given above the bible also give us another reason in Deut. 23:14 “For the LORD your God moves about in your camp to protect you and to deliver your enemies to you. Your camp must be holy, so that he will not see among you anything indecent and turn away from you.” Zambia belongs to the Lord. And so God WALKS IN THE MIDST OF YOUR CAMP. We do not need to let God to step in it! In fact, God doesn’t even want to see anything indecent. 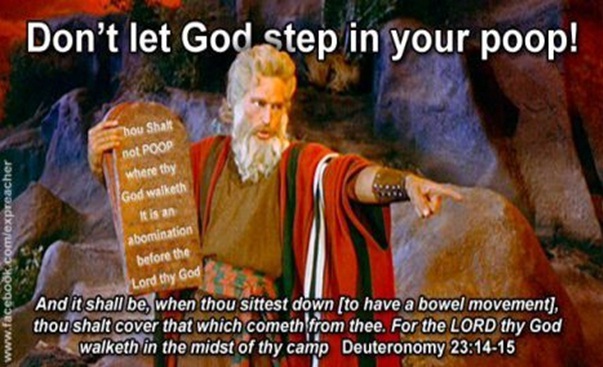 This is the reason scripture has given as to why Israelites must go outside of the camp to go, and then cover their poop: because God walks around the camp and they never wanted God to step in their poop, and if He even sees it, He’ll “turn away” from the camp (as it stinks and is no longer “holy”), and will stop protecting/delivering them and will stop handing their enemies over to them in battle. So the rationale for covering one’s poop is not only hygienic, nor is it only a public health, but rather the Israelites are to cover their poop so that God doesn’t step in it or see it, because if he does, he’ll leave them and they’ll start losing battles. It is not enough only to cover the poop. We must also wash our hands each time we visit the toilet. Paul said “Don’t you know that your bodies are the living Temples of the Holy Spirit”. We don’t have to shake hands if we have not washed our hands. But how many times have we greeted each other in church when we know quite well that we have not washed our hands? It is always said that cleanliness is next to Godliness. Let us therefore develop the habit of hand washing with soap or ashes.